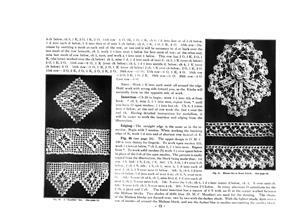 Beautiful new designs published for the first time in Irish Crochet, filet worked in colors, and Venetian or Macramé Crochet with correct position of hands, and needle, stitches and lessons, fully illustrated. 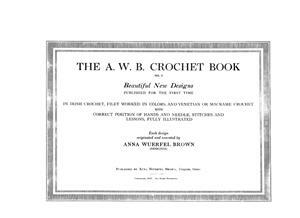 Toledo, Ohio: Anna Wuerful Brown, 1913, 33 pgs. 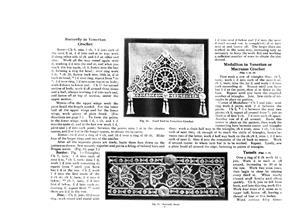 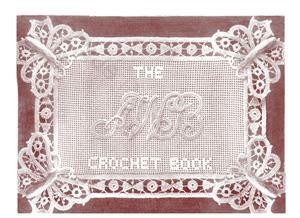 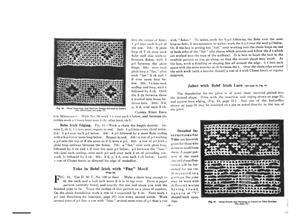 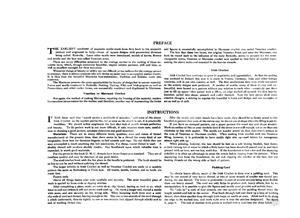 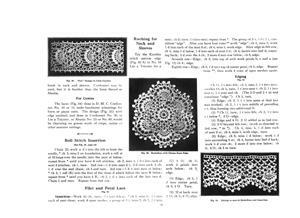 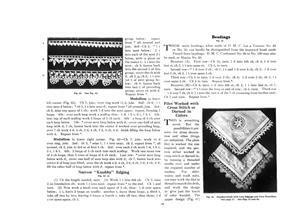 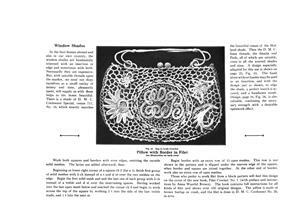 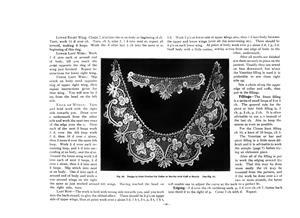 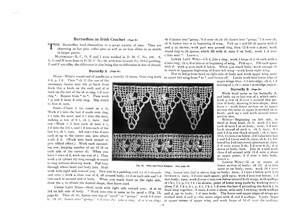 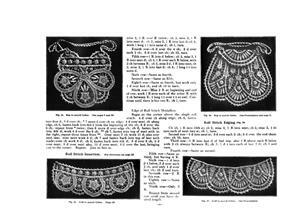 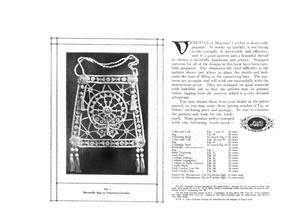 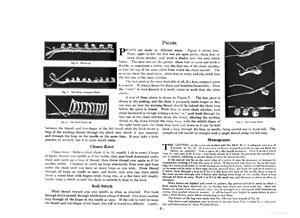 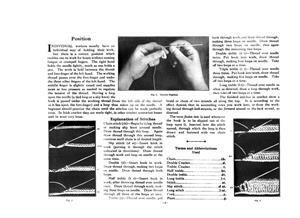 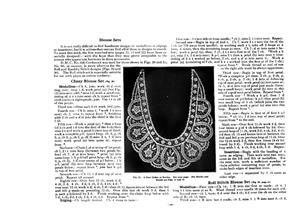 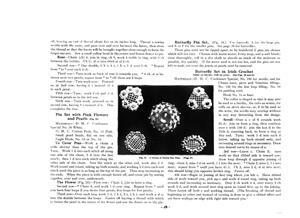 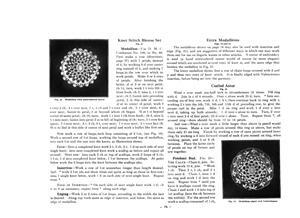 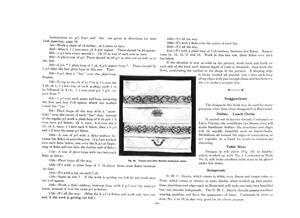 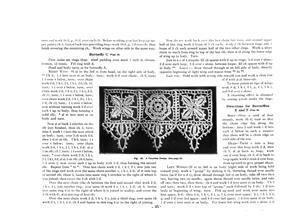 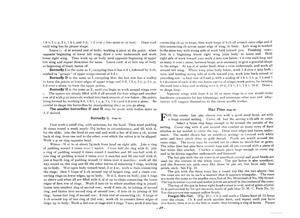 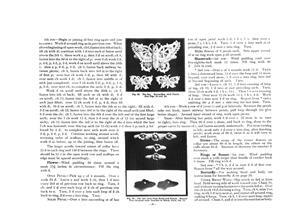 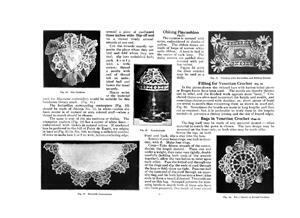 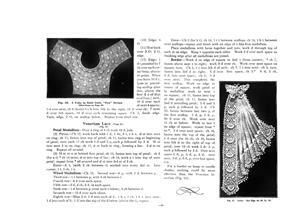 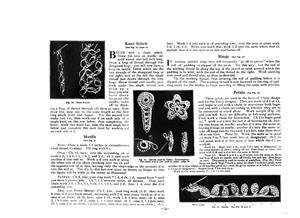 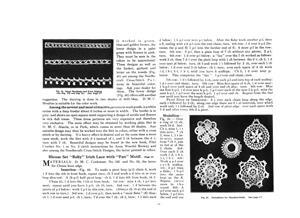 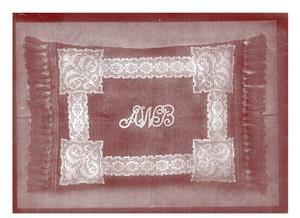 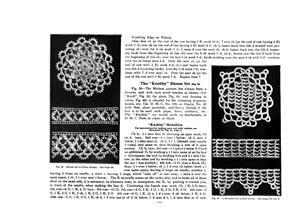 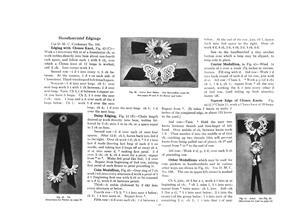 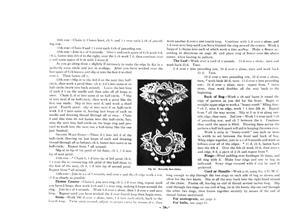 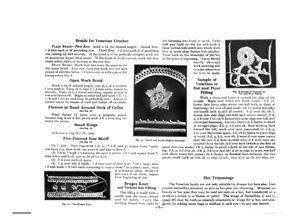 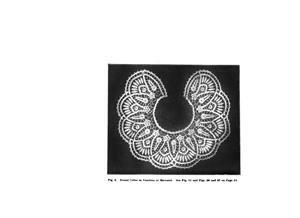 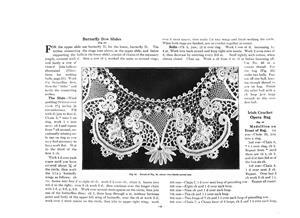 Crochet instructions for items in Irish and Venetian crochet (imitation of Italian cutwork), plus Cluny crochet; cross-stitch on crochet mesh ground; filet crochet. 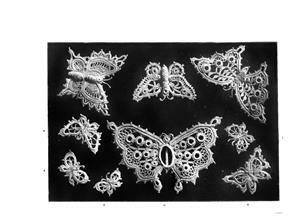 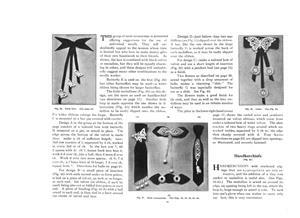 Lots of butterflies, florals, brooches, jabots, edgings, medallions, slides, even crocheted cord formed into initials. 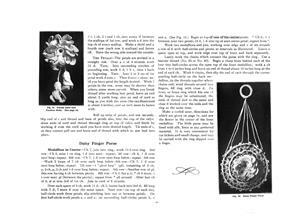 Scans donated by Cheri Mancini, edited Judith Adele.